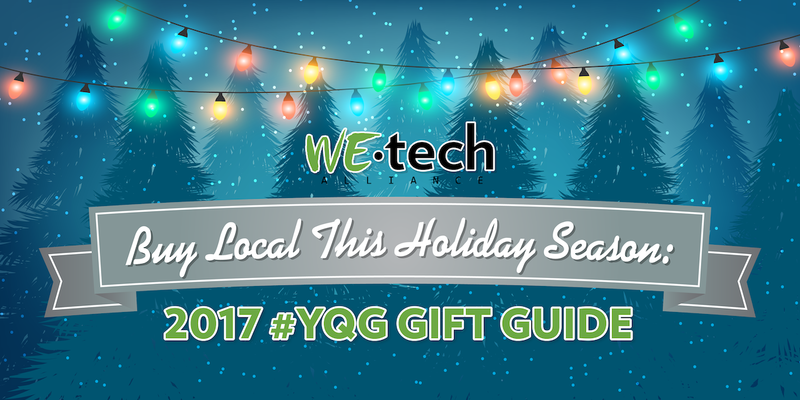 We’ve scoured the City and County to bring you a list of #YQG gift ideas that are sure to make this year’s holiday shopping easy and most importantly, LOCAL! Please note, this is merely a snapshot of available local gift ideas. 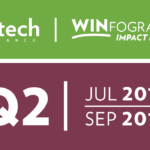 Windsor-Essex is filled with great businesses, restaurants and people. 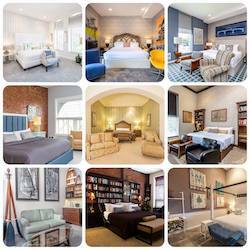 Share your suggestions with us on Twitter, Instagram or Facebook. 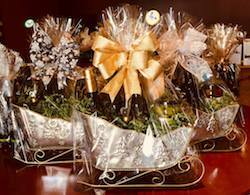 Bring the perfect gift to your Holiday party or tree with these local Gift Boxes. 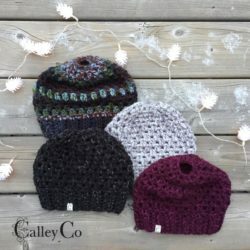 Each pack includes: Pom Toque, Choice of Unisex Tee and Metal Pin. All Holiday Packs will be delivered in Windsor free of charge. 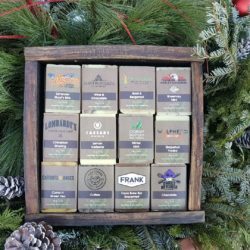 Product: 12 different soaps featuring 12 different local businesses in a wood box crafted from whiskey barrels! Product: The WE Box is a curated local food box featuring the best local produce in Windsor & Essex County, from our area’s top farmers and producers. 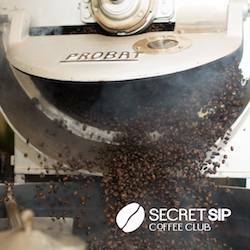 Product: A monthly membership delivers a secret 250g package, which is over a half pound of fresh coffee, the first week of every month for the duration of your membership. 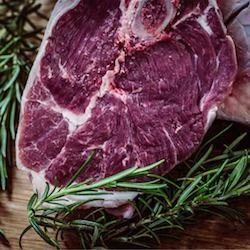 Product: Antibiotic, Hormone and pesticide free Ontario meats – straight from the farm delivered to your doorstep. Price: Beef Box Meals from $139.99. 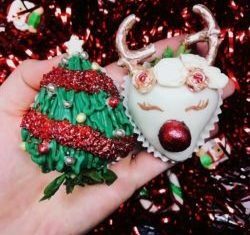 Stocking stuffers and gift ideas that are made in or sold at local small businesses in YQG. 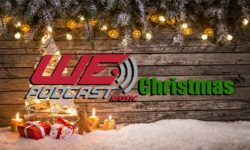 Product: WE Podcast is a brand new local podcast network which will feature a vast variety of audio and visual entertainment, with local programming available in your car, your home, and on the go with a free downloadable app. 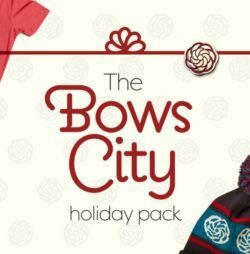 Product: Limited Edition Rose City gear. 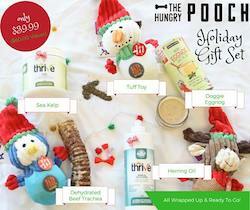 Product: Holiday shopping have you feeling stressed? Spend an hour turning off this crazy world, floating effortlessly in a sensory deprivation tank filled with ten inches of a silky solution containing 1000 pounds of pharmaceutical grade epsom salt. Product: Simple, everyday wear or pieces with flair, custom bridal jewellery, Swarovski accents. Product: Limited Edition Ambassador Bright Illustration. 32" x 40" Print on Canvas. Wood Frame with Acrylic Glass and Velvet Lining. Only 50 Made. 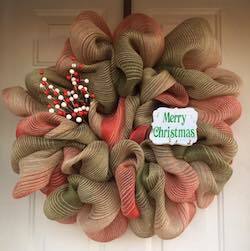 Product: Handmade wreaths, candy cane décor. Product: Clothing with a cause. 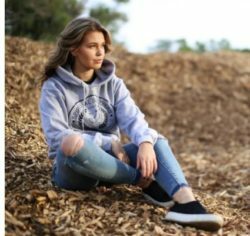 Spiritual Soldiers is a clothing line with all profits going back to recovery homes in South Western Ontario. 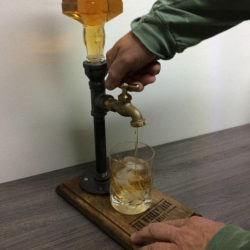 Product: A must have for any craft beer fan. 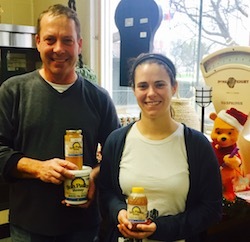 Faerhaven’s Six Pack of beer soaps is made with local craft beers from Walkerville Brewery Craft Heads Brew and Brew Windsor. Company: Quill Apparel & Printing Co. Product: Is your kid an artist? Why not put their masterpiece on a T-shirt and make them feel like the real deal?! Price: Baby moccasins start at $65, other items vary in price. 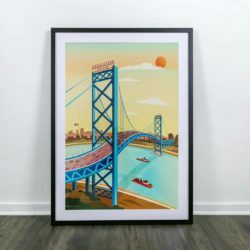 Available at the Urban Art Market – 548 Chilver Ave., Windsor. 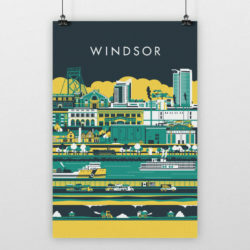 Product: This holiday season, you can bring the best of WIN City into your home with this Windsor poster, featuring some of the city’s most notable landmarks in the most colourful way. But don’t wait too long! The offer finishes on Christmas Day, 2017. 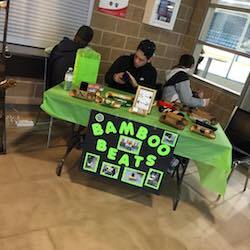 Price: $15 for an original stained Bamboo Beat & $20 for a custom finish. Product: Handcrafted & one-of-a-kind items. This holiday season enjoy terrific local food produced right here in #YQG. Product: Gourmet chocolate dipped strawberry platters, towers and customizable gift boxes. 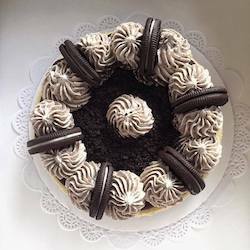 Product: Specializing in homemade decadent Cheesecakes, Cheesecake Cakes, Cakes and many other Sweet Treats, perfect for any occasion! 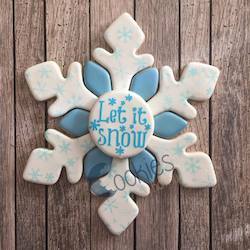 Product: Specializing in homemade and hand decorated cookies. 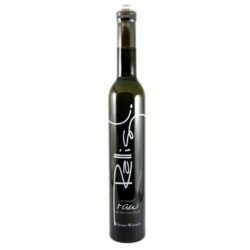 Product: A premium, raw, unfiltered, extra virgin olive oil; pressed completely in the absence of heat (Ice Pressed) within 12 hours of hand harvesting, from superior category early harvest olives - the results, a near flawless acidity of 0.1% and an unbelievably “refreshing” raw, olive taste! 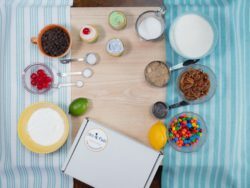 Price: Taste teasers starting at $10. Themed Grab n' Go baskets starting at $46. 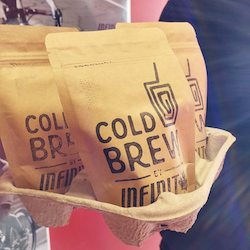 Product: Finally, a functional iced coffee! Low carbs, low sugar, but packed with protein and flavour. New Zealand Whey Protein Isolate, 100% Coffee, Organic Coconut Sugar, and Richmix – a non dairy creamer, combine for an easy and tasty protein iced coffee. Price: Prices range from $3.95 to $249.95. 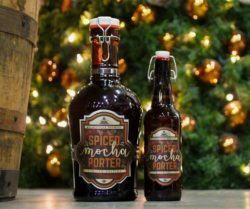 Product: New, limited edition Holiday seasonal Spiced Mocha Porter - a collaboration with Anchor Coffee House. Product: Producing fresh, local honey since 1925, uncluding liquid honey, creamed or in the comb. 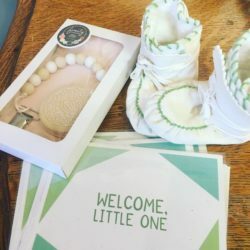 Gift giving season is upon us, and it’s no surprise that the Small Business Centre is a big fan of shopping small, especially when it comes to gifts! 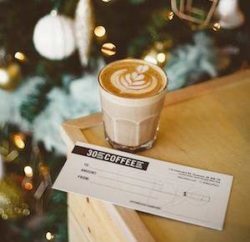 We have pulled together a few of Windsor-Essex’s loved small businesses for this year’s Holiday Gift Guide. Product: Offering hot java, as well as their signature cold brew, in Rich Dark Chocolate and Peanut Butter Chocolate. 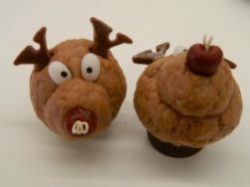 Product: Providing kits to make your holiday baking easier. They now have gluten-free kits available. 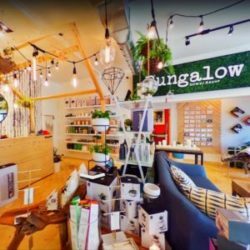 Product: Specializing in condo sized furniture and home essentials, this shop is ideal for the urban dweller. 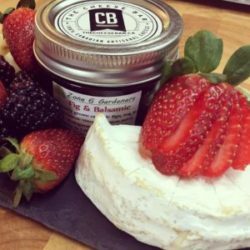 Product: Focusing on South Western Ontario producers, The Cheese Bar provides artisan cheeses & charcuterie boards for all events. Product: Offering the finest, hand-crafted candles made of refined paraffin, soy and gel waxes. Made in Essex. 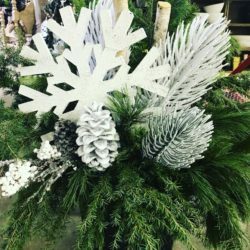 Product: Visit The Flower Shop for beautiful decor this holiday and all year 'round. 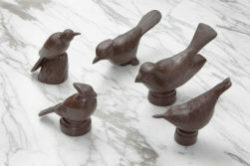 Product: These beautifully handcrafted chocolates may be the perfect gift, but sometimes can be too pretty to eat! Product: Real Authentic. Real Etiquette. 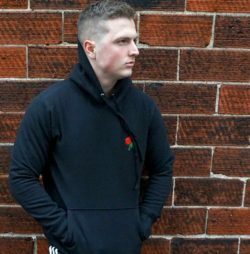 This comfy clothing line seeks to promote Windsor-Essex. 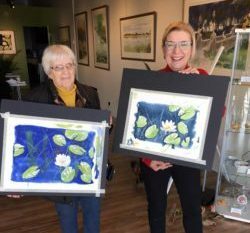 Product: Kingsville's newest art gallery is more than just display - it's art and cooking classes, and a curated gift shoppe! 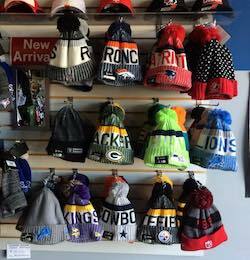 Product: If you're looking for the perfect gift for a sports lover, Sports Zone carries officially licensed sports apparel. 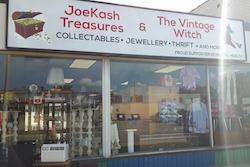 Offering vintage clothing and antiques, this shoppe is great for those with an old soul. 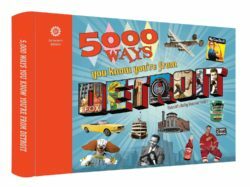 Whether tied to #YQG by birth, re-location, school or geography, here are some more gift ideas that have still have some #YQG tied to them. Tired of hearing “I’m bored”? Why not keep your kiddos, friends and family busy with these local activities. Details: Featuring a 64' tall illuminated tree in the Queen Elizabeth II Sunken Gardens, Thousands of lights & a host of iconic holiday characters throughout the park, Special light shows and Horse-drawn carriage rides. 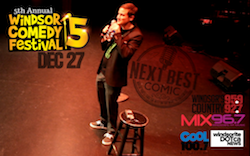 Details: Windsor Comedy Festival returns for its fifth year and brings great entertainment to tickle your funny bone on December 27th at Chrysler Theatre. 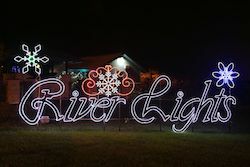 Details: River Lights is a 6 week long Festival held in Amherstburg's Navy Yard Park. 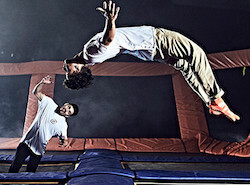 Details: Wall-to-wall aerial action in Windsor's newest trampoline park! Details: Curling facilities are available from November through March for curling bonspiels, league play, and individual ice sheet rental. Details: A traditional German indoor & outdoor Christmas market. 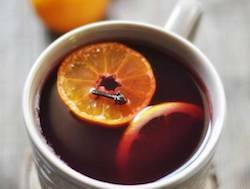 Awesome local vendors, children’s make & take craft station, Gluhwein, hot chocolate, live music & more! 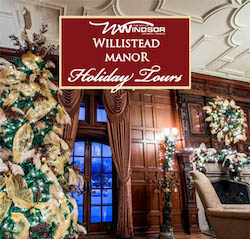 Details: Enjoy Windsor’s historic Willistead Manor Holiday House Tours in Old Walkerville on Sunday, December 3, 10 & 17, 2017. 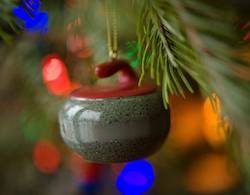 Details: Celebrate the Holidays with the WSO! 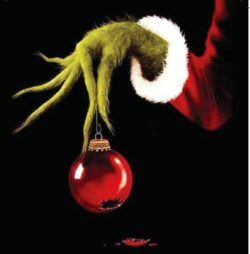 Enjoy your favourite Holiday tunes, a musical telling of How the Grinch Stole Christmas, and a visit from a special guest in a red coat! 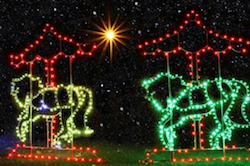 Check out even more #YQG Holiday Activities in Windsorite.ca’s Windsor Christmas Events Guide! 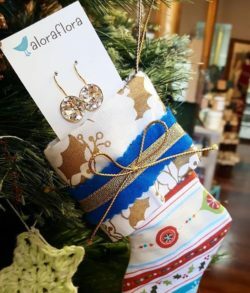 Looking for even MORE local gift ideas? 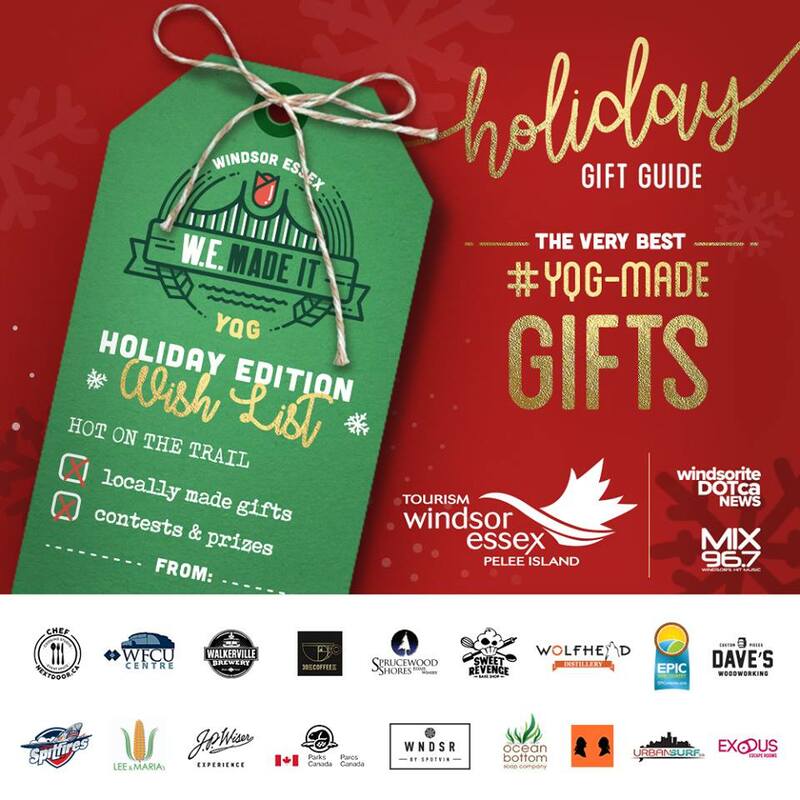 Click the images below to check out some of our Annual #YQG Gift Guides from years past! 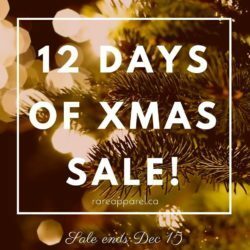 Check out even more local gift ideas with Tourism Windsor Essex Pelee Island’s W.E. 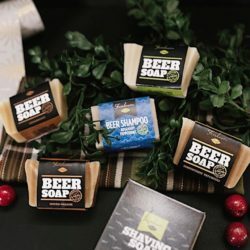 Made It: Holiday Gift Guide!